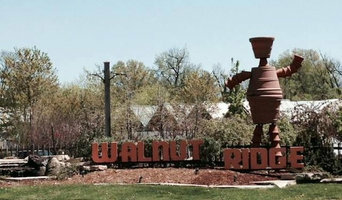 Walnut Ridge has been in existence since 1952 as a nursery and garden center. It was one of the first garden centers in the Kentuckiana area. Prior to being a garden center, there were only greenhouses at the Hamburg Pike location.The garden center, along with the wholesale greenhouse business, grew and several greenhouses were added to increase production. In 1960 a second garden center store was added near New Albany, Indiana. Soon a Landscape Department was added and more greenhouses were built to accommodate the increased need for plants. Within the next few years, we soon had two acres under glass or plastic and produced several million plants each year. We were soon one of the largest garden centers in this area. Frank Otte Landscape & Design Group provided Louisville with a dedicated focus on landscape design, installation, construction & maintenance. Frank otte is one of the best Landscape and Design Group.With more than sixty years of combined experience, the company’s three professional, formally-trained and degreed designers consistently provide traditional and cutting-edge solutions to any landscape challenge. Since the Frank Otte Landscape & Design Group is not a division within the nursery company, the designers have the ability to procure materials of the highest quality at competitive pricing. They often go through great lengths to acquire incredible plants, innovative hardscape materials, and even unique garden art to meet the requirements of the designs. Design, contract, construct and supply products for water features, backyard livining environments, outdoor lighting, and lake management. Located in Louisville, Kentucky, Pond and Fountain World, Inc., has been designing, building and maintaining water features for over 15 years. We have operated our unique retail water feature store for 12 years. Welcome to Glynn Young's Landscaping and Nursery Center. Marty and Cathy Maddux opened the 6.5 acre nursery in 1988. Our nursery offers balled and burlapped trees and shrubs, container trees and shrubs, perennials, roses, seasonal plants, mulch and other items for your landscape. With Kentucky Certified Nurserymen on staff, we are knowledgeable and qualified to assist you with your gardening needs. 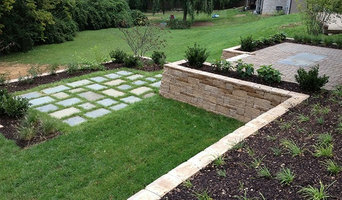 The landscaping department offers landscape design and installation for both residential and commercial properties. We currently provide landscaping services for the Lexington, Nicholasville, and surrounding Central Kentucky areas. Stephenson Garden Center & Nursery has served the Louisville, PRP and Valley Station area since 1993. We are a full-service nursery that carry’s all the plants and materials needed for any size job. Stephenson also offers both commercial and residential landscaping. 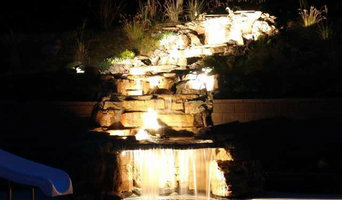 Not only can we provide the landscape services you need for your project but we can also help you design your project. Our experienced staff can assist you in all phases of your landscaping needs. Come in to our Garden Center and shop for what you need or speak to one of our staff members to assist you in your project. Stephenson Garden Center & Landscaping stands ready to help you in whatever your garden, nursery or landscaping needs. If you can't stop by, give us a call at (502) 935-0353 or click here to fill out a request form and we'll contact you! Garden ornaments Antique Reproduction Cast Iron and Cast Aluminum Urns, carved stone, and wrought iron products. Bramer Sod Farms, Inc. is a family owned and operated turf business with over 40 years of experience. Over 450 acres of Fescue and Kentucky Bluegrass turf are in production at this time. Customer satisfaction through quality turf and superior service is our goal. If you’ve been dreaming of a beautifully landscaped property with a water feature or a concrete fire bowl but don’t know where to start or what landscape supplies to buy, it may be time to look into garden and landscape suppliers in your Kentucky area. From retaining walls to raised garden beds, these professional vendors can make your backyard the oasis you’ve been longing for. What’s more, many of these professionals can help you take your ideas from design to installation and provide garden care and yard maintenance according to your Crestwood, KY climate. Here are some related professionals and vendors to complement the work of garden & landscape supplies: Landscape Contractors, General Contractors, Landscape Architects & Landscape Designers. What if you would love to grow your own vegetables but have site limitations? Many garden supply companies offer planters and containers that are up to 42 inches tall. For those who live in colder climates, consider a greenhouse — just the thing to enjoy starting plants or growing exotic blossoms that wouldn’t quite work in your Crestwood, KY climate. Find garden and landscape supplies on Houzz. Search the Houzz Professionals section for Crestwood, KY garden and landscape supplies. Browse photos and read reviews. 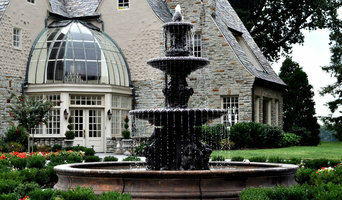 You can also explore full-service Kentucky landscape architects and garden contractors.